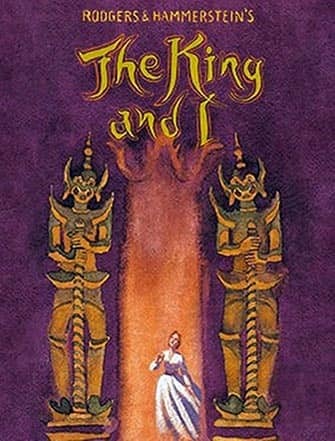 Purchase your The King and I Broadway tickets before you travel to New York. It’s easy to buy your theatre tickets online, saving time. 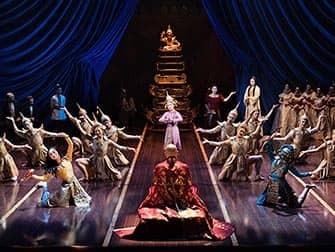 The King and I on Broadway is a musical revival of the forbidden love story between a British schoolteacher and the King of Siam (now Thailand). The show, created by Rodgers and Hammerstein, first opened on Broadway in 1951 to critical and commercial success. 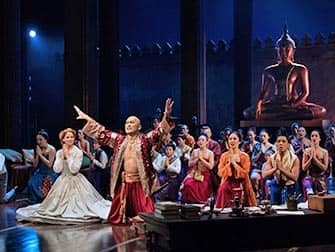 The King and I won 4 Tony Awards including Best Revival of a Musical in 2015. The King and I is performed in the Lincoln Center Theater. The King and I is a truly magical Broadway musical. You’ll really be transported back to the 19th Century complete with puffy European-style gowns and their Asian counterparts. The characters are each beautifully portrayed. The show is enchanting yet bittersweet and with the original music by the acclaimed Jerome Robbins, you’ll understand why it was a big hit in the 1950s. The story is of course a classic tale and again in its revived form it’ll really make you think about different cultures and traditions. But you’ll also get to laugh a lot. It’s the kind of show you’ll always remember. 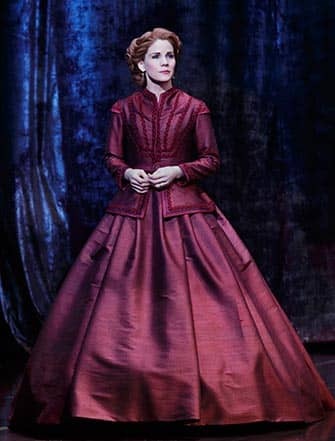 How to buy The King and I on Broadway Tickets? Erics Tip: The King and I is suitable for the entire family. The children probably won’t get all of the jokes (about cultures clashing or misogyny) but there are many children in the cast and there are many funny bits that they will love. And the King is of course a very funny and stubborn character! Don’t want to see The King and I?